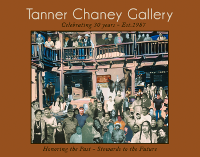 ONLINE > Visit us online at http://www.tannerchaney.com where you can shop, buy, and email. PHONE > You can call our toll-free number at 1-800-444-2242 between the hours of 10am - 5:30pm Mon-Sat (Mountain Time). Closed Sunday.